The summits of the Three Peaks are capped by a layer of gritstone – collectively known as ‘Millstone’ Grits after they were used extensively for that purpose in the past. The Millstone Grits represent the point at which deposition of sands and gravels reached its height during the late Carboniferous Period. They are characterised by their coarse texture, and by the obvious quartz and feldspar grains which distinguish them from the smoother sandstone of the Yoredale Series. 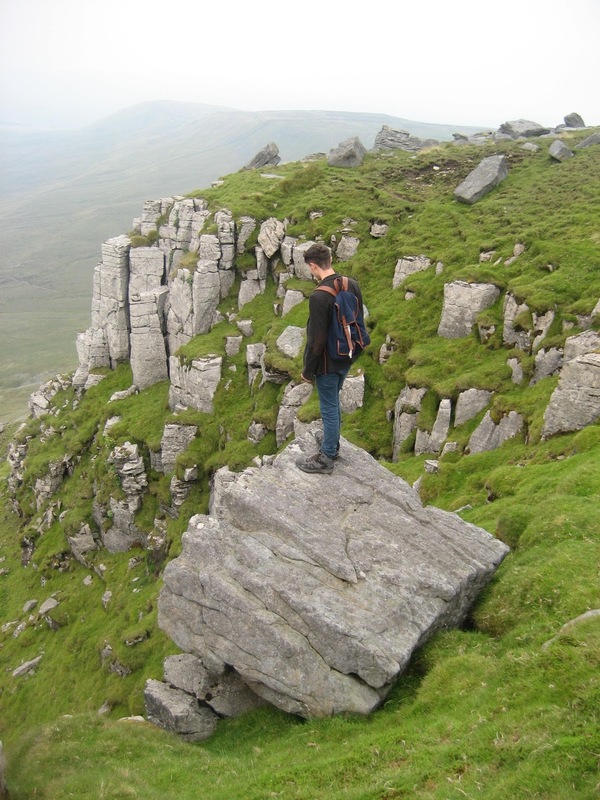 The huge ‘finger’ or lobe of deposition that includes the summit of Ingleborough resulted from an active part of the Carboniferous Delta pushing south and forming a layer about 50 metres thick. It is known as the Grassington Grit and forms the often forbidding moorland between Wharfedale and Nidderdale; an inhospitable wilderness. 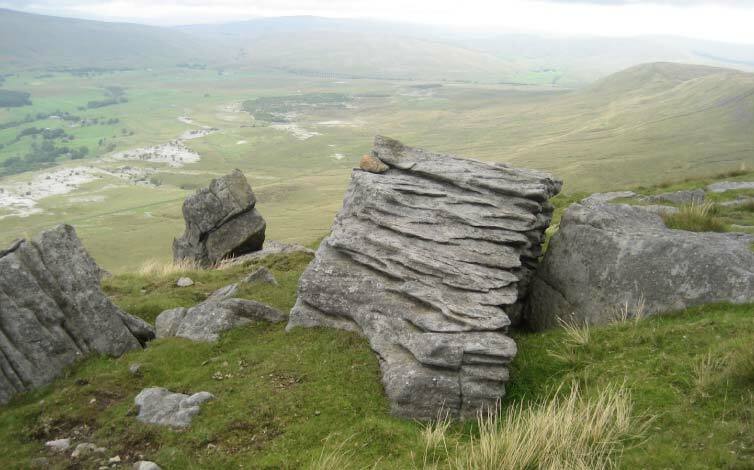 Along the perimeter of Ingleborough’s summit, huge boulders of gritstone have tumbled down onto the Yoredale Series below, so the distinctive contrast with the surrounding rocks, and the Great Scar Limestone plateau below, can be clearly seen. Made up of coarse sand and formed in active and changing environments, the Millstone Grits contain very few fossils as shells were often destroyed in the harsh conditions of deposition.